Eléonore Dormant’s life is a precarious balancing act: librarian by day, demon hunter by night and single mother around the clock. Each day brings its challenges and she brings her A-game. It helps that coffee and a bottle of painkillers are always in supply. For six years, she’s protected the streets of Montreal from all manner of demons and the consequent evil that they would wreak on her city. But even a resumé like hers isn’t enough to prepare her for the unforeseen night when she becomes the hunted. A sorcerer, an enigmatic Elder, has placed a hefty bounty on her head and the demons are eager to claim the reward for her capture. They bear down on her, disrupting her mode de vie and endangering her son’s life all in one fell swoop. 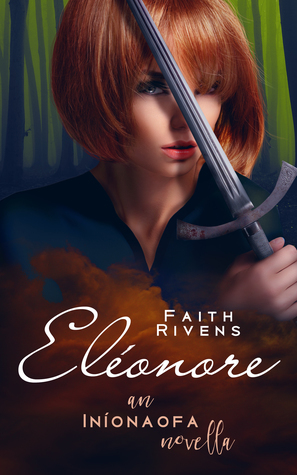 But Eléonore is ready to fight whatever Hell deigns to send her way to save him. The path she pursues will lead her to new places and old faces. One thing is certain, Eléonore’s about to get into a whole hellhole of trouble.